Superb laptop backpack. Padded protective compartment to fit standard laptop up to 15.6”. Two separate zipped side pockets for cables and mobile phone. Additional mesh outer pockets. Webbed carrying handle and adjustable padded shoulder straps. Large and soft cabin backpack. Large zipped main compartment. Front zipped pocket. Internal large mesh cell. Internal large cell. Reinforced carrying handle on top. Additional reinforced carrying handle on side. Compression straps on both sides. Chest strap. 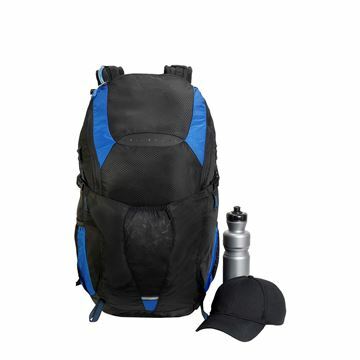 Padded back panel and adjustable shoulder straps. Suitable for screen printing / transfer printing or embroidery. 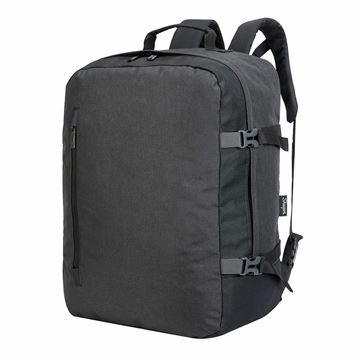 Roomy, classic laptop backpack. 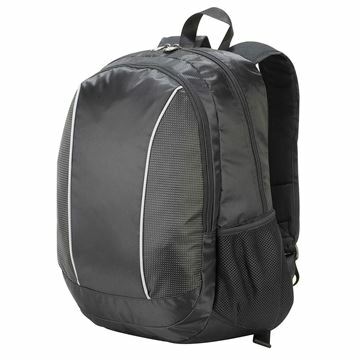 One main padded compartment suitable for laptops up to 15.6”. 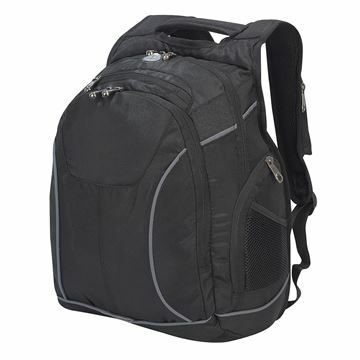 Adjustable padded shoulder straps and two mesh side pockets. 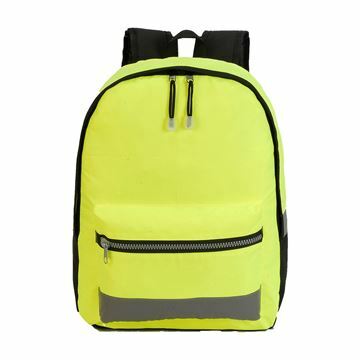 Essential hi-vis backpack.Reflective strips on three sides. Webbed carrying handle and adjustable padded shoulder straps.